Welcome to Daybreak Venture, LLC., your source for quality long-term health care and rehabilitative services. Our corporate office has over one-hundred staff members ready to assist you and answer any questions that you may have about our services. We at Daybreak are committed to providing the highest quality of care for the resident in our homes. Respect for our resident and their individual need is paramount. Find the Daybreak Ventures communities nearest you and see if our At Home Assisted Living offers services in your area. 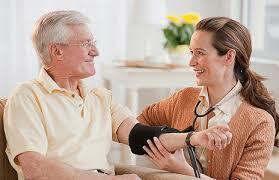 We at Daybreak Venture are committed to providing the highest quality of care for the residents in our homes. Respect for our residents and their individual needs is paramount. The way you welcomed my mother to Deerings and cared for her while she was there means a great deal to me. God bless you all. I want to thank you for the great care, the hugs, smiles and laughter you shared with my precious dad and me during his stay with you. I appreciate the care he was given there. I wish to thank all of you at Deerings for all you did for me while I was there. May God bless all of you. I simply could not believe it when "family member" pulled the framed saying you had done for him. Thank you to the entire staff for the excellent care provided to our mother. We enjoyed the show and shine (Classic Cards - Sat 7/19). I would like to say thank you to all of the dedicated staff at Orange Villa Nursing & Rehabilitation.